The main treatment route when it comes to skin cancer is surgical. As you are likely aware, skin cancer is a serious concern that needs to be diagnosed and treated as early as possible so as to ensure a full recovery and long-term survival. There are numerous types of techniques that are used, depending on the type of skin cancer you are suffering with and at what stage, also taking into consideration your general health. Unlike other cancers, the majority of treatments for skin cancer show positive, successful results. If you are at all concerned about your skin health, you might benefit from a full body assessment here at The Pabari Clinic, which would be the first step of your treatment plan. Our experts thoroughly assess any new and existing moles, as well as your general skin health and any other skin concerns you might have. The surgical technique that we favour for treating skin cancer is surgical excision, which is suitable for both melanoma and non-melanoma skin cancers. The cancer is cut away from the skin, along with some surrounding healthy tissue in order to ensure that the cancer is removed in its’ entirety. The resulting wound is then close in one of two ways depending on the size of the defect. Smaller wounds are simply closed directly with a few small stitches, whereas larger wounds would require either a skin graft or a local flap closure. A skin graft involves the removal of healthy skin from elsewhere on the body before it is then grafted onto the affected area. Your procedure plan will be discussed in depth with you following your body assessment so that you know exactly what to expect. Don’t be afraid to ask questions at any point, as we want the entire experience to be as comfortable as possible for you. Depending on the site and the amount of skin that has been removed, the length of your procedure can vary, and this can have an affect on other aspects of your aftercare and recovery. In general, this type of skin cancer surgery is less time-consuming than other options, usually lasting between one and two hours. The skin cancer is usually completely removed and cured following your surgical excision. This would be confirmed following follow up appointments and tests, while the remaining wound would take a few weeks or months to heal, depending on its size. 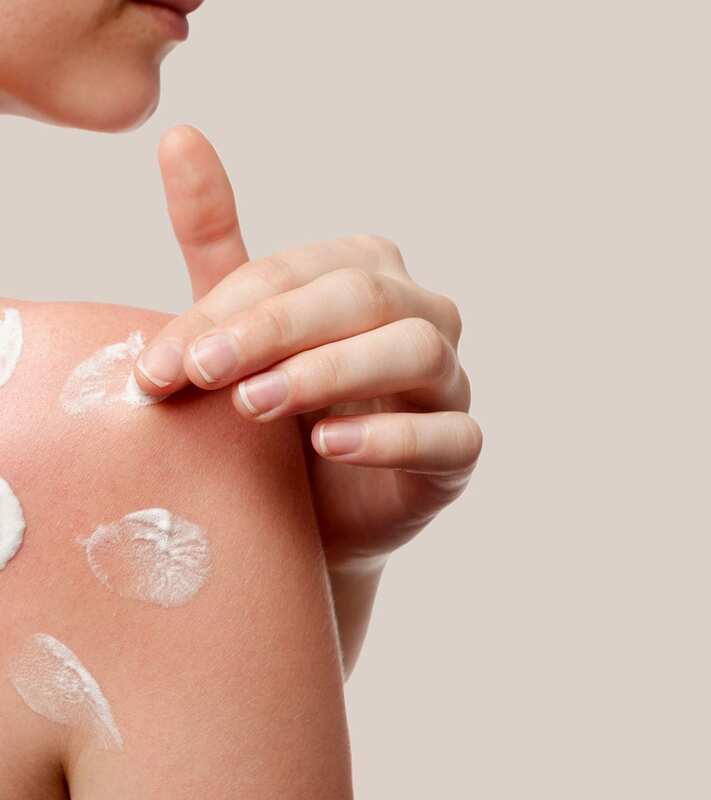 This is a permanent solution to certain skin cancers, although it will not prevent the formation of new skin cancer in the future, which is why regular skin health checks are so important. If you struggle to check all areas of your skin on your own, don’t hesitate to get in touch with the team here at The Pabari Clinic. The treatment area is usually swollen and bruised post-surgery, with slight aches and pains in most cases. The skin might also feel tight as it heals, but all of this will soon subside over the course of a few weeks. There are a number of risks involved with surgical skin cancer excision, however rare they may be. These include excessive bleeding, potential blood clotting, allergic reaction, infection and severe scarring. If a skin graft is used to close the wound, in very rare cases, there is a chance that the graft may not heal as successfully as other options. And as mentioned above, there is the risk of remaining cancer cells post-surgery. All of the risks of your procedure will be outlined in full during your consultation progress, but rest-assured that your care is in expert hands at our clinic, and we’d be happy to put any of your concerns at rest by answering your questions. Downtime is limited, although this again depends on the size and the site of the treatment area. In general, we advise avoiding strenuous activities until your wound heals over the course of a few months. Any pain and discomfort can be managed with prescribed pain relief, while the side effects of your surgery should subside within a week or two. Who is suitable for skin cancer treatment? Skin cancer treatment in the form of a surgical excision is best suited for specific types of skin cancer, and the only way to determine your suitability would be through an attentive, thorough consultation at The Pabari Clinic, involving a full body assessment as mentioned above. The cost of your skin cancer treatment is affected by the extent of your procedure, which includes the size of the treatment area and the site. Thank you so much for great service and care. I was seen and treated on the same day for my skin cancer at The Bridge Clinic and by end of the week I had my results. I would like to recommend Mr Pabari to all my family and friends. Now I am 2 weeks after the surgery, my cancer is gone and my scar is healing beautifully. Thank you for everything.